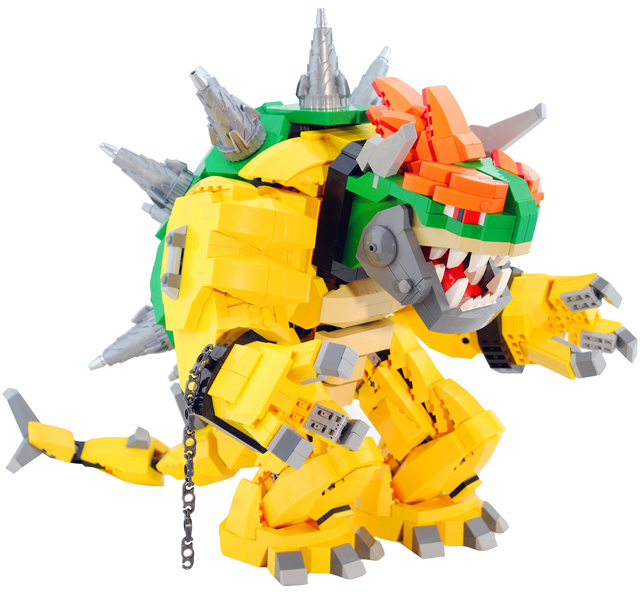 Evergreen, Colorado LEGO enthusiast Zane Houston has custom built an incredible looking Mecha Bowser entirely out of LEGO for the Like A Boss contest on Flickr. Years of battling Mario and Luigi has taken its toll on Bowser; to compensate he constructed this giant mechanical version of himself to do his bidding. Equipped with razor-sharp claws, spikes, and a flamethrower powerful enough to scorch that mustachio right off your face. Stay in your pipe, puny plumber! This was a fun and challenging build for me; partly due to all the weird angles (especially the shell) and because this is my first build not using almost all dark bley so I was much more limited in my piece collection (and I used just about every yellow brick and slope I own). I hope you guys like it!